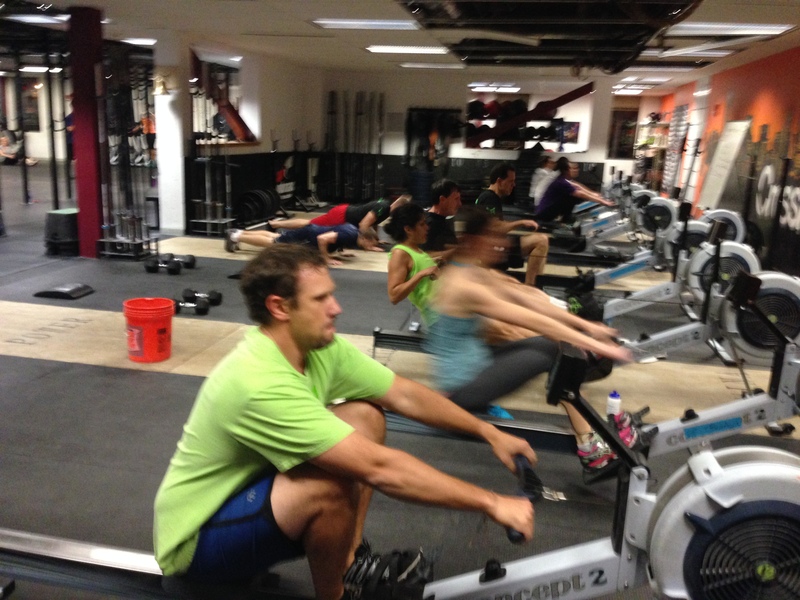 Elite rowing and fitness is all about developing power through high intensity. Today’s Rowing WOD is an opportunity to push your boundaries and test the limits of your speed and endurance. Attack the first piece and get used to going faster. Imagine you are going to pull that split for your next race. Catch your breath and then focus on being efficient and powerful at race pace for 1,000m at a lower stroke rating of 30s/m. After another good rest, work on mental toughness and endurance over 2,000m as you get used to the time required for complete focus during a race. If you’re interested in joining us on the water learning to row and race in sculling shells be sure to register here! This entry was posted in Our Mission, Rowing and tagged endurance sports, exercise, functional movements, health, mental toughness, new sport, recruitment patterns, row 2k, rowing, sports, Strength, training, water by Renegade Rowing. Bookmark the permalink. I like that. I was scheduled to do a 4x1km but I may try this one instead. Awesome! Ya it would be a good sub and test of all three distances. Have fun! See https://rowsandall.wordpress.com/2015/05/12/500m1km2km/ if you want to know how it went. Awesome! Very cool stuff! Way to get after it on the water. Rock On! Great question Jeremiah. It all depends on your goals. If you’re a competitive rower you would probably do 2-4 of these workouts per week in addition to your normal rowing plan on the water. If you’re an athlete looking to stay in shape or cross train you could pick 3-5 of these workouts to do in addition to your sport. If you just want to be awesome and get in better shape, do every day or pick what you need to work. You could combine this program with a traditional strength training or olympic lifting program and be good to go as well. Let me know if you have any more questions!